Being a child with sensory needs can make even the simplest things like combing your hair or getting dressed feel challenging. Sometimes making small adjustments can make the everyday struggles easier. As a parent, you can feel helpless as you watch your child struggle. Using the strategies below, you can make life easier for your child and cut back on sensory meltdowns and day-to-day battles. Use a visual schedule. This allows the child to know exactly what to do and what’s coming next. 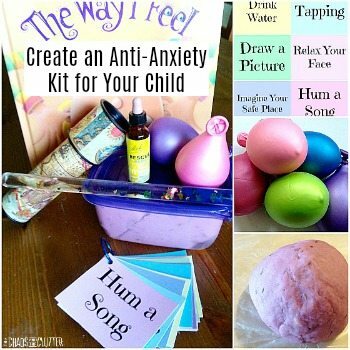 It can ease the pain of transitions and lessen the chance of meltdowns. 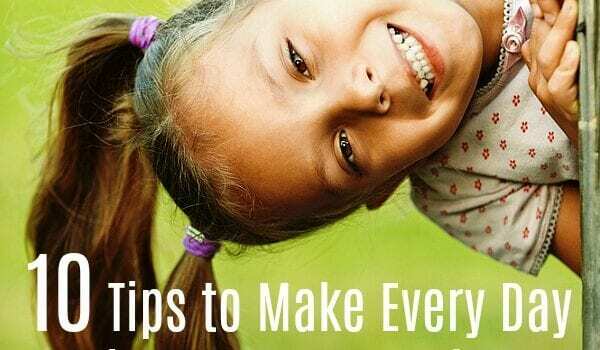 For some kids, they need the tasks broken up into smaller steps, so look for a visual schedule that breaks things down. Give warnings for upcoming transitions and allow for extra time so that your child can adjust. Be sure to allot margins in your day to allow for this and to reduce stress on both you and your child. 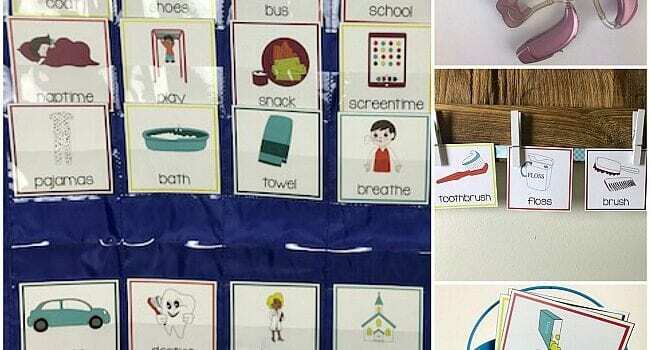 Offer sensory breaks throughout the day. This gives your child the necessary sensory input. Sensory breaks also make good transition bridges. 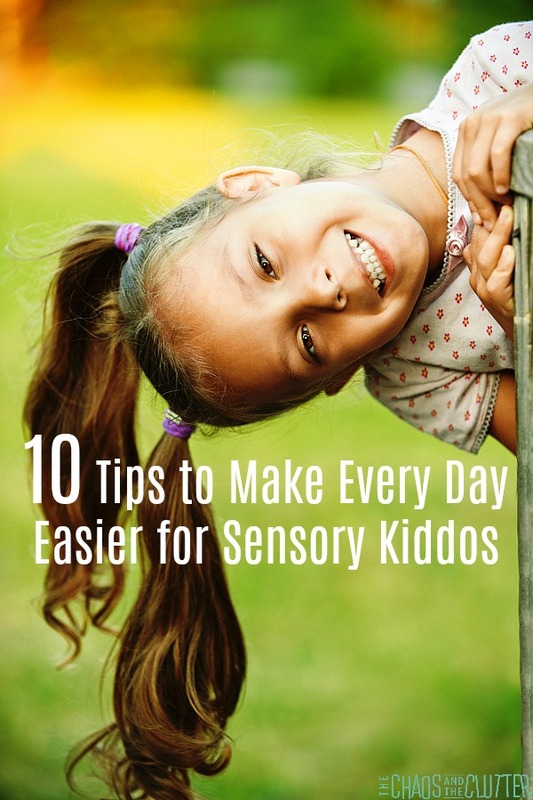 Use a Sensory Triggers Log to help you identify your child’s sensory triggers. This will allow you to avoid them or make changes to your child’s environment to accommodate them. Work on giving your child an emotional vocabulary so that they can express their feelings. Teach your child calming breathing techniques. Meet your child’s sensory needs during the day with sensory activities and heavy work opportunities. This will not only help them all day long, it will help them sleep better at night. Don’t die on the clothing mountain. Let your child wear what’s comfortable to them. 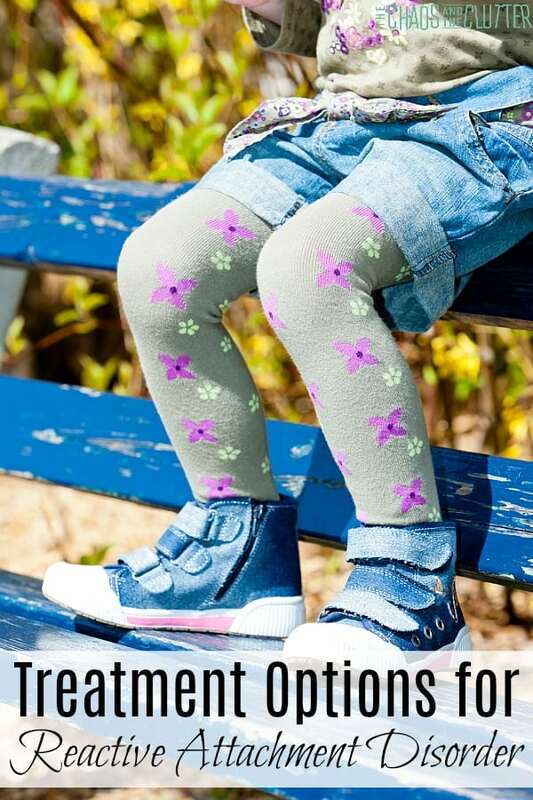 Be a sensory detective to discover why certain articles of clothing bother them. This will help you find solutions. Have your child use a vibrating toothbrush. Not only will this add more sensory input to their day, it will decrease oral sensitivity and eventually lead to less battles over food. Teach your child about sensory processing and the 8 sensory systems so that they can better identify their needs and voice them to you. Bonus tip: Carry a pack of Post-It notes with you in your purse so that you can cover the automatic flush sensor on toilets in public bathrooms. No more surprise loud noise for your child to contend with! I love this list so much because it has some actionable strategies that you can start using right away. Does this sound familiar? You are trying to get your child out the door to school or for an appointment and they can’t seem to accomplish the smallest tasks. They are easily distracted and moving as slow as molasses. You give reminder after reminder, but they seem to go in one ear and out the other. It’s the same scene every morning. You are becoming more and more agitated until finally, you explode. You feel guilty as your child leaves for school once again feeling deflated. Your child can’t move from one activity to another or one location to another without having a meltdown. You try to remember to give them a “five minute warning”, but sometimes there just isn’t time. Sometimes, even with the warning, they still don’t seem to be able to make the transition. You find yourself once again dealing with a meltdown. The teacher calls again. Your child came out of the bathroom at school with their pants down around their ankles. Again. At home, they always forget to flush the toilet or leave the water running after they wash their hands…when they remember to wash their hands at all. You know that your child is doing their best. You wish you could help them gain more independence. 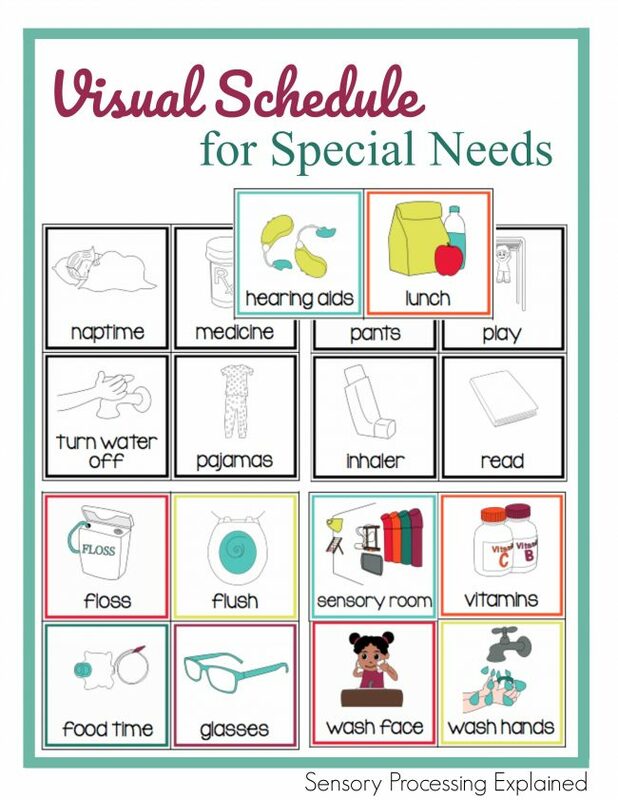 Visual schedules are especially beneficial for children on the autism spectrum, children with FASD, ADHD, sensory issues or SPD, RAD, or other special needs. They can be an invaluable tool. Many parents report that they have been a “game changer” in their household. 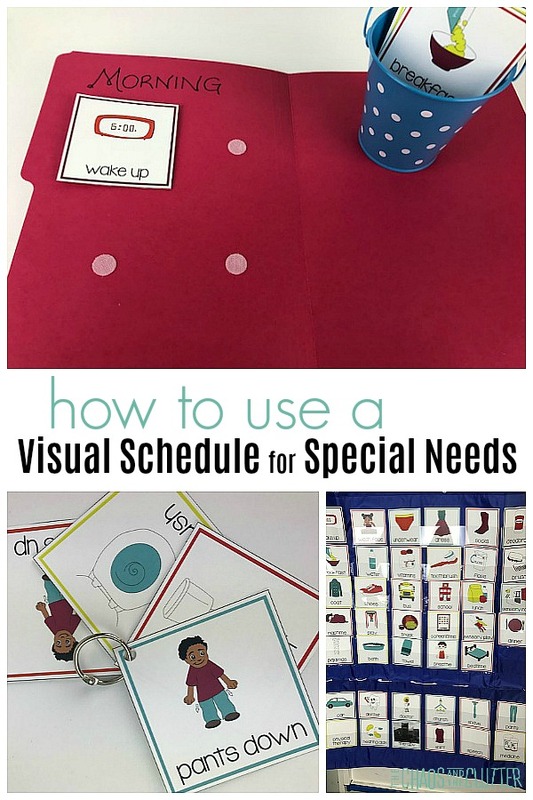 I created the Printable Visual Schedule for Special Needs because I couldn’t find a visual schedule that included what I was looking for to use with my own kids. I wanted something that parents could use with visual and written prompts that kids could easily understand. It is in both colour and black and white. The black and white cards are great for having kids colour themselves. This gives them another reenforcement and reminder. The best way to use visual schedules to benefit your child depends on your child and on what you are hoping to accomplish. If your child is experiencing a lot of meltdowns during transition times, you will want to start with cards that help them predict upcoming changes throughout their day to help them predict what’s coming next. If your child is struggling to get out the door in the morning, you’ll want to start with cementing a morning routine that works for them. Or if your child is struggling most with breaking things down into smaller tasks, that will be where you want to start. Create a morning routine chart. You can do this in many ways. Choose which of the methods below you feel would work best for your child. You can always try multiple methods to find the best fit. Place velcro dots on a poster board and hang the poster in their bedroom. Attach an open envelope to the bottom of the poster. Place velcro dots on the back of the visual schedule cards and place them on the poster in the order your child should complete their morning routine. As they complete the tasks, they can add the card into the envelope. Hole punch the cards that your child needs to complete each morning. Place them on a binder ring and give it to your child as a visual reminder they can carry with them as they complete each step. Affix magnets to the back of the cards. This works best if the cards are laminated. Set up an area on the side of the fridge or on a magnetic white board in the kitchen where your child can see their cues and move them down as they complete each one. 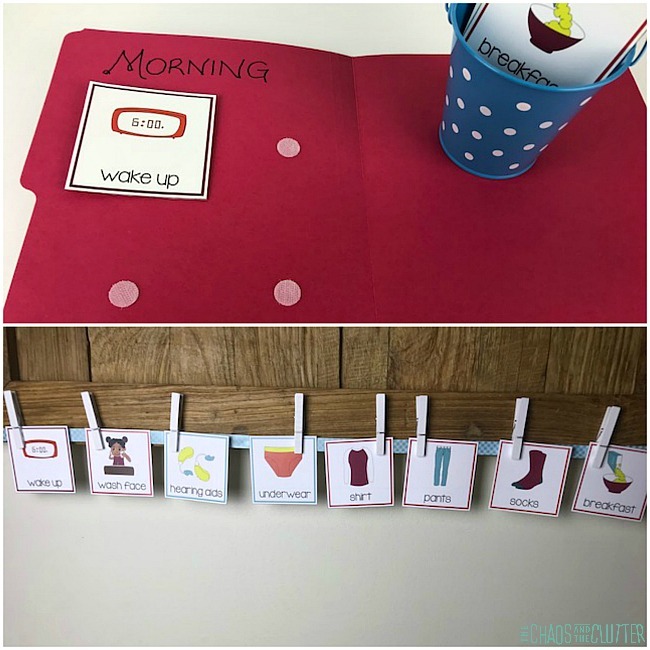 Give your child a folder or binder that contains the cards needed for their morning routine. These can be glued down on a page in the binder with the heading “Morning” or you can add velcro dots to the page and to the backs of the cards and glue an envelope to the inside of the binder for easy storage of the cards. Hang a ribbon or string in your child’s room. Use clothespins to attach their visual prompts in the order they need to be completed. Provide a small bucket or envelope that your child can put the cards into once they’ve finished each one. Make a poster for your child that displays their daily schedule. See the method for making the poster above. Create a visual representation of your child’s day on the side of the fridge using magnets on the back of the cards. Make your child a binder separated into Morning, Afternoon and Evening to further simplify things. Another way of creating a daily schedule is by using a pocket chart. You can add the cards needed for that day at the top of the chart in the order they will happen and store the rest of the cards either at the bottom or in a separate envelope that you can staple near the bottom of the pocket chart. For some children, the chart can be very general, including only the highlights of the day, whereas for others, you will need to break down each thing into smaller tasks. I don’t recommend using binder rings for an entire daily schedule as it can be too overwhelming for a child. Hole punch the cards and attach them to a binder ring. This way, the child can carry it with them. This is particularly good for the bathroom prompts. They can flip through the cards as they complete each step. 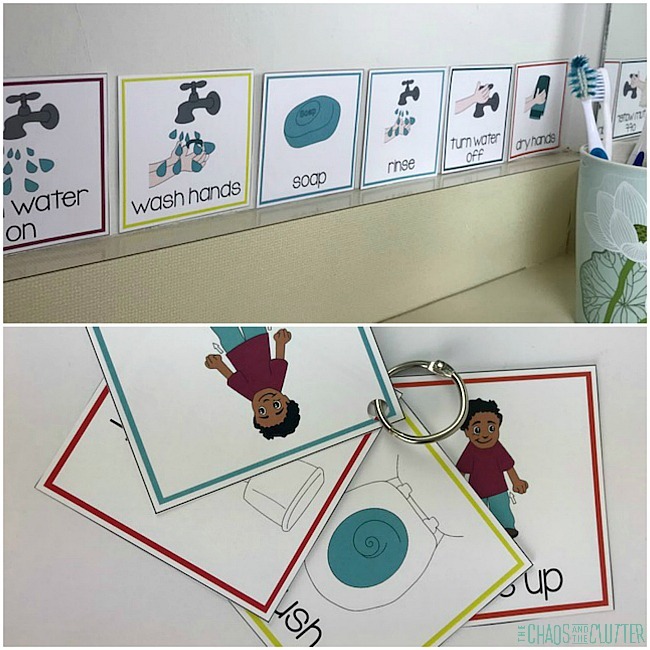 Use poster putty or teacher’s tape to attach cards to the bathroom wall or mirror for the bathroom cards and the step by step instructions for hand washing. Attach the cards to the back of your child’s bedroom door or the wall in the entryway for reminders such as putting on their shoes and coat or taking their lunch. When I created this visual schedule, I purposely left some of the cards such as those for Speech, Occupational Therapist, Therapist, etc. without an image. This was so that the child or parents could add a picture of the building or actual therapist to the card. For some children, especially those with autism, it helps to have things as concrete and specific as possible. Seeing the actual building or person they have an appointment with helps create security and aids in the transition. 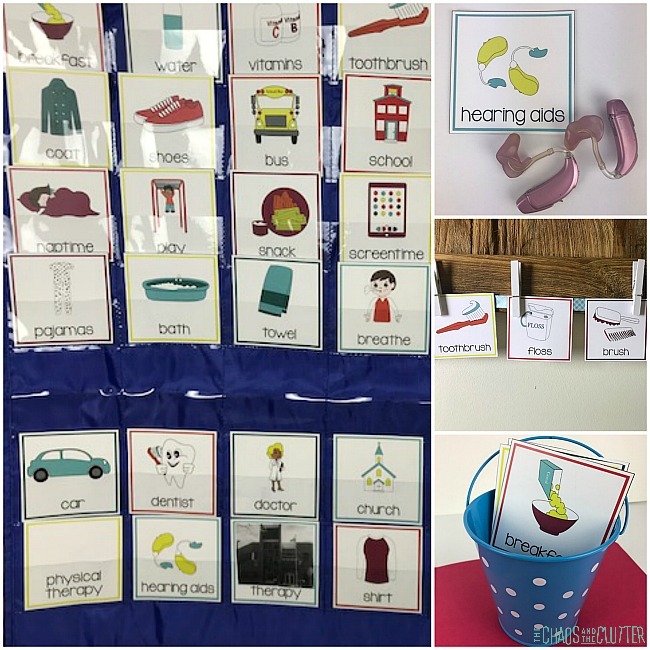 Children can use the pocket chart, binder, or binder ring method to use their visual schedule as their prompts while at school. 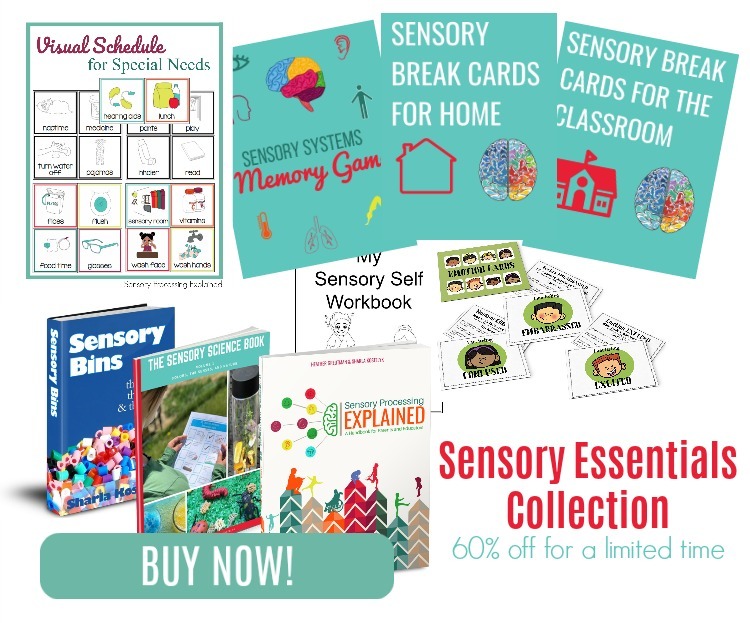 For a short time only, the Visual Schedule for Special Needs is included in the Sensory Essentials Collection which included many other resources for helping kids thrive. Mother’s Day is the one day of the year that I kind of expect that I’ll get to sleep in. It doesn’t always work out, but now that the kids are older, I thought that for sure this year it would happen. That morning, I woke up to the sound of “mommy”. There was a catch in her voice, that little signal that as a mom, lets you know that something is wrong. I looked at her. Sure enough, from the middle out on both sides, her eyelashes were missing. It was like they had been stolen in the night. “Alopecia.” The word was immediately in my head. I didn’t dare say it out loud. This was my daughter who had already overcome so many obstacles in her life, who had faced challenges before she was even born, who had battled lung disease, who had spent years in and out of the hospital, who had watched as her siblings played outside while she had to stay in, who had painful medical procedures and still goes for regular injections. How could this be happening to her? My brain went into “it’s not fair” mode pretty quickly. 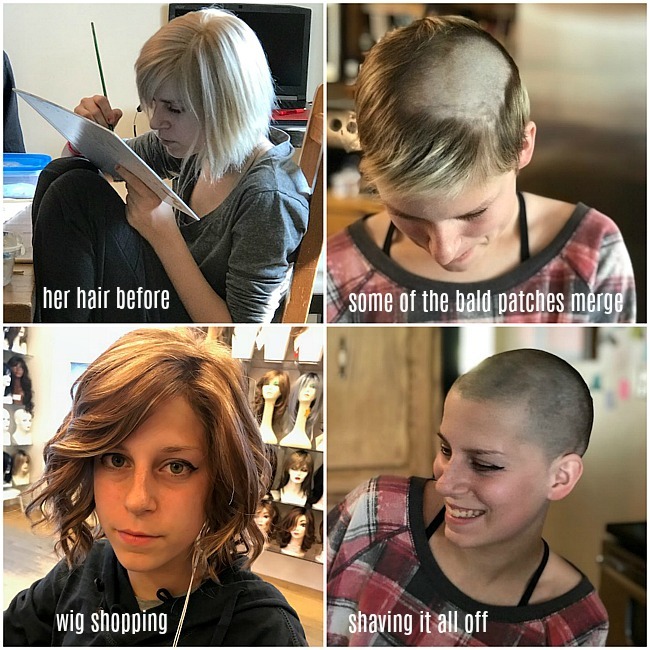 I know that it’s just hair, but she’s a teenage girl and that’s hard enough without something that sets you apart. Part of me wanted to scream. I didn’t say any of these things to her. I told her that everything would be okay. Next, I asked if she had used different mascara recently. I advised her to stop wearing makeup until we could figure out what was happening. An appointment was made with the doctor. But I knew. Over the next few days, her eyebrows began to thin out. Within a week, she had lost the top and bottom eyelashes on both eyes. It was no surprise when the doctor confirmed what I had suspected. She had Alopecia. He told us that in some people, they will just lose their eyelashes or eyebrows and not their head hair, so we were hopeful for that. 13 days after that Mother’s Day morning, my daughter was once again standing at my bedside. This time, tears were streaming down her face. She had woken up to a pillow covered in hair. About a third of her hair had fallen out. She climbed into bed with us and we all cried together. I was rocking her while she cried with her head on my shoulder. When she pulled away, there was a thick patch of hair where her head had been. We all looked at it. I wasn’t sure if I should keep the hair or throw it in the garbage. At first, we started to cry harder until we burst into laughter. There’s no protocol for this one in the parenting books! I’m so proud of my girl. An hour after we cried in my bedroom, I dropped her off at her swim instructor practicum. Even though she was embarrassed about her lopsided, strange looking hair, she knew she had a commitment to keep. Here’s where the hard mom stuff comes in though. Part of me wanted to tell her that it was okay to call in sick that day, to stay home, to hide away while she adjusted to the idea. I was hurting for her. I worried that she would encounter stares and harsh words. As a mom, I wanted to protect her from it. But I knew that it would only get harder if she didn’t face it right away. I knew that I could only help build up her confidence and arm her with what to say if people asked questions. It was an obstacle I couldn’t climb for her, one that I could only help guide her through. She is, of course beautiful with or without hair, but losing your hair and your eyelashes when you’re sixteen is just plain hard. We went to a wig shop a few days after she started to lose her hair. The ladies there were all bald as well. It was wonderful for my daughter to be able to talk to others who understood. They were so kind to us. In the end, she decided to hold off on getting a wig for now, but did get a special hat because we discovered that you get very cold at night when you don’t have hair on your head. Each day, she lost more hair in clumps. Bald patches began to join each other to form larger bald patches. That Friday, we sat in my kitchen while my dear childhood friend who’s a hairdresser shaved off the small bit of hair remaining. It was emotional. Again, I know it’s just hair. I have close friends who’ve lost their hair from cancer treatments and Alopecia is not life threatening. I have perspective and my daughter does too. She knows that there are worse things that she could lost. After all, her youngest sister lost her hearing a few years ago. Last year, her best friend lost her mom. We remind ourselves about these type of things to keep our perspective. We have also allowed for the natural grieving because keeping perspective doesn’t mean that we can’t still acknowledge the hard. But it’s still hard. There have been lots of hard moments. Her first time being around her friends without a hat. Being on a youth group outing and having to decide if she was brave enough to take her scarf off so she could waterski. Learning to apply eyeliner in a certain way so that no one can tell that she doesn’t have eyelashes. Attending a wedding. Feeling ugly. Wanting to be like the other girls her age. I’m incredibly proud of how she has handled it. Overall, she has been optimistic and kept a sense of humour. She has been an example to me and to her siblings of courage and grace. I asked her if she was okay with me sharing this story here on the internet for everyone to see and she agreed immediately. It understandably took her a few extra minutes to agree to having the pictures shared. 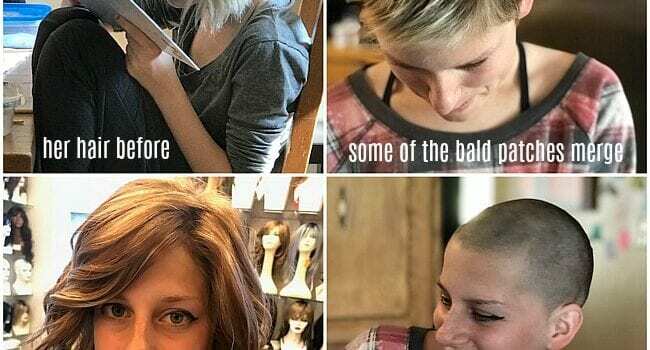 She hopes that in sharing what this journey through Alopecia has been like, I might be able to help other moms better support their kids through it. With that in mind, my daughter asked me to share the things that I did that she found helpful. She wants other moms to know what to do if this happens to their child. My daughter’s hair grew back, but a few months later, her eyelashes started to fall out again. We know that it will likely be something she battles throughout her life. She had an easier time the second time because she knew that she had new coping skills for facing it again. 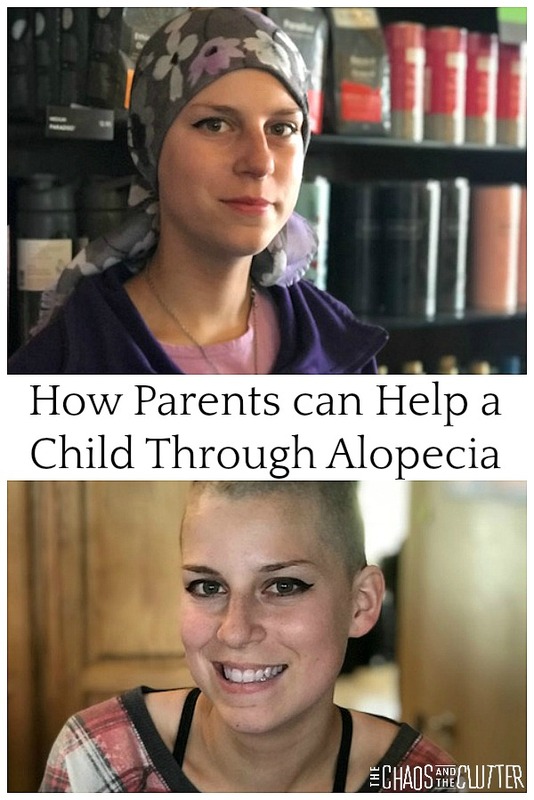 If you or your child are facing Alopecia, know that you are not alone. You will get through this. 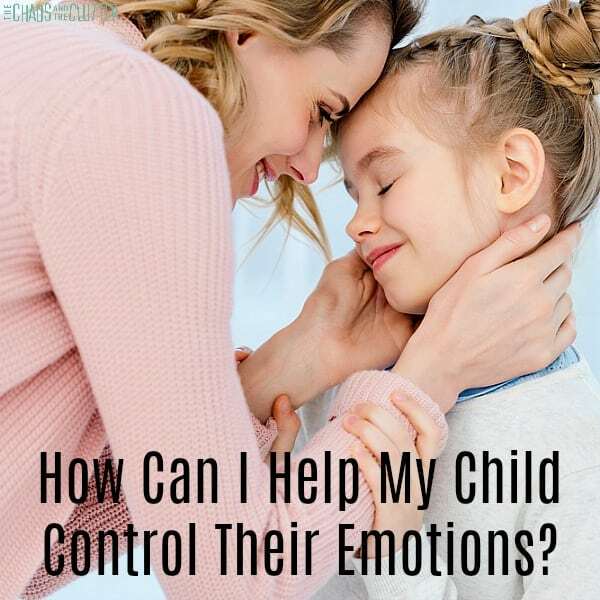 How Can I Help My Child Control His Emotions? Although kids aren’t the only ones to struggle with controlling their emotions (as was evident last week when I cried over not being able to find Velcro dots! ), they do not have the coping skills and life experience to be able to navigate through big emotions without some guidance. Many parents aren’t sure where to start when it comes to helping their child control their emotions. This will give you a roadmap to help them. 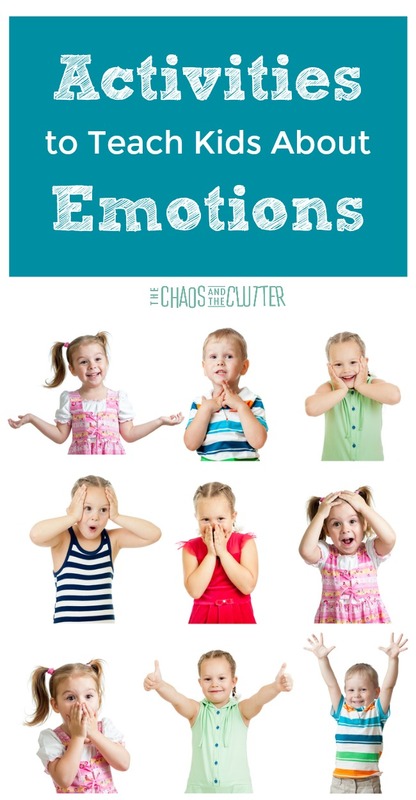 The first step in helping your child learn to manage their own emotions is to teach them to identify their feelings. Give them the language to be able to name their feelings. This is a powerful tool to arm a child with. 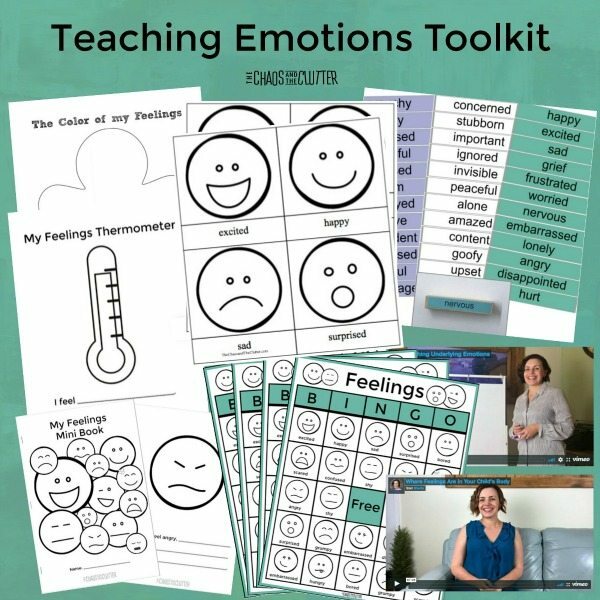 The Teaching Emotions Toolkit has everything needed to give kids the vocabulary they need to be able to identify and name their own feelings. Learning to recognize feelings in others. Once a child is more fluent in the language of emotions, they can begin to recognize feelings not only in themselves, but in others as well. If you’re watching a movie or TV show, discuss how the situations may make the characters feel. Do this especially with situations that kids may find themselves in someday such as bullying. Model talking about your own feelings and your coping strategies. Name your feelings honestly. Then provide your child some insight into your coping strategies. 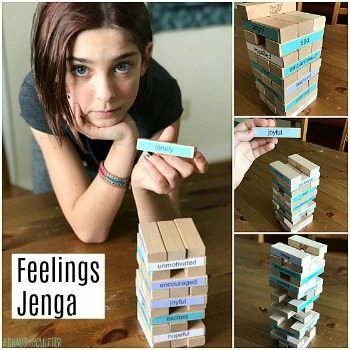 This will help them to learn how to manage their own emotions. By actively listening to your child express their feelings, you are showing them that their feelings matter to you, that your child matters to you. You can repeat the emotion words back to them. “I hear you say that you felt angry when he took away your toy. Do you want to tell me more about that?” By listening to your child’s feelings, they will learn that you are a safe place for them. Help them identify their triggers. Triggers are very dependant on the child. For some, it may be sensory triggers or a trauma trigger, while for others, it may be a particular feeling such as frustration that serves as a trigger for a meltdown or an aggressive response. Once you help your child to identify what their most common triggers are, you can help them to recognize them in the early stages and put in place some coping strategies. Gauge the intensity of the emotion. Using a feelings thermometer or chart, help your child determine how intense their feeling is. 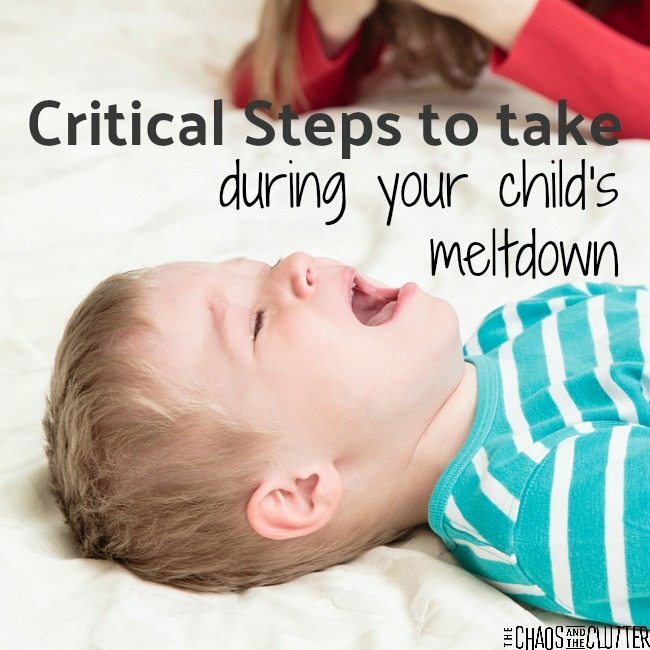 Prevent emotional outbursts or meltdowns as much as possible. Adequate sleep, good nutrition, water, regular exercise, and sensory breaks can go a long way towards preventing meltdowns before they start. I know that I’m certainly more able to handle life’s curveballs when I’ve had a good night’s sleep. I’m also way more reasonable when I’m not hangry! Teach that it’s okay to make mistakes. Mistakes are how we learn. Kids who fear making mistakes or strive for perfection tend to have a harder time coping with emotions. 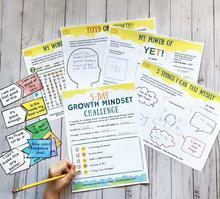 The Growth Mindset Challenge Kit and the Big Life Journal are two of my favourite tools for this. I also really like the book Your Fantastic, Elastic Brain for this reason. It is so good at explaining the concept of mistakes being necessary in a way that kids can understand. Calm down strategies are a big part of teaching coping strategies, but they are not the only part. If a child takes a break or walks away when they see a trigger arise, that is also a coping strategy. If there is a particular situation that comes up repeatedly that causes big emotions in your child, help him think of a strategy for managing that particular situation. Come up with a plan together. Role play and practise often. Once he has practised managing that situation with his new strategies, he will be better equipped to deal with it in real life. Teaching your child to better manage their emotions will empower them. They will feel more in control. This will equip them with the skills needed to face their day. What is the Treatment for RAD? 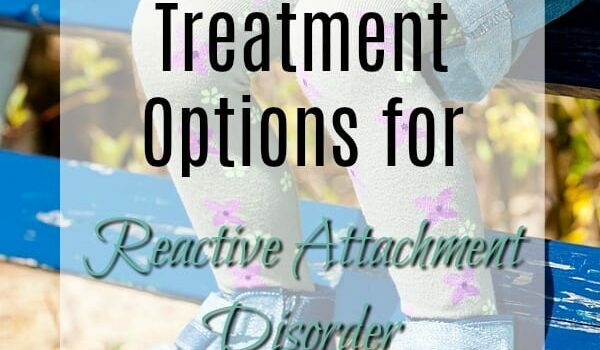 There are several treatment options for Reactive Attachment Disorder. In most cases, a combination of treatments is used. Love alone is not enough to cure RAD. Please remember that I am not a therapist or official expert in the field of Reactive Attachment Disorder. I am a mom. Two of my kids happen to have the diagnosis. This article is based on the current research into the treatment for RAD as well as my personal experience. I have not tried everything on this list. There is no “one size fits all” treatment package I’m afraid when it comes to RAD. What works depends on the child, the family, and a variety of other factors such as other diagnoses. In many cases, a diagnosis of RAD is not an isolated diagnosis. It often comes alongside other diagnoses such as Sensory Processing Disorder, Post Traumatic Stress Disorder or developmental trauma disorder, ADHD, an anxiety disorder, depression, cognitive delays, or FASD. In fact, it is not uncommon for kids to have several diagnoses on the list. This is one of the reasons why a treatment plan needs to be customized to the child. The treatment that we have found the most effective for our kids with RAD was TBRI (Trust Based Relational Intervention). 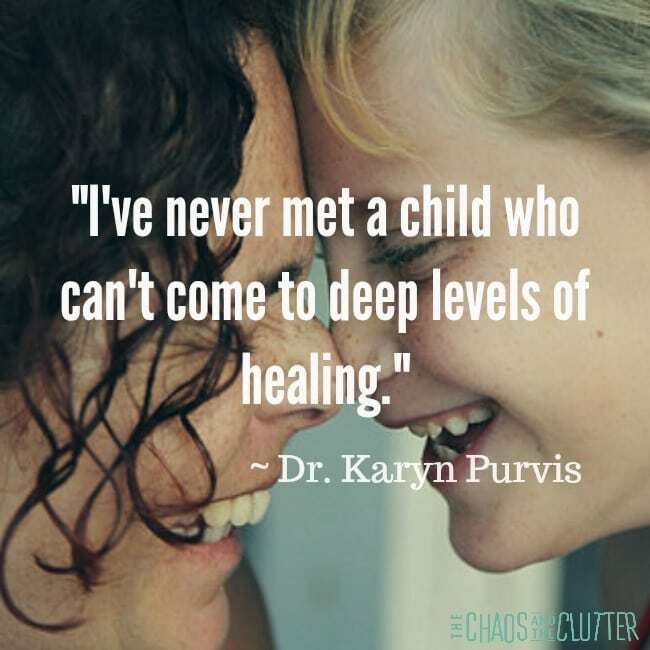 It is based off this theory; “Our children were harmed in relationship and they will experience healing through nurturing relationships” ~ Karyn Purvis. We used TBRI along with some of the other treatment strategies listed in this article. The abbreviated program activity list here (near the bottom) is very helpful. Choosing to medicate a child is a very personal decision. I share some of our experience with that here. There is no prescription that will magically cure RAD, but there are some that will treat some of the symptoms such as anxiety, aggression, trouble sleeping, and difficulty focusing. It is certainly more complicated than just treating a symptom with a pill. There are many factors to consider. I suggest consulting a paediatric psychiatrist who specializes in or is at least very familiar with treating attachment and trauma disorders. Choosing to medicate is a big decision and one where it doesn’t hurt to get a second opinion. Whether you choose individual and/or family psychological counselling, it is very important to choose a therapist who is trauma informed and experienced in attachment disorders. 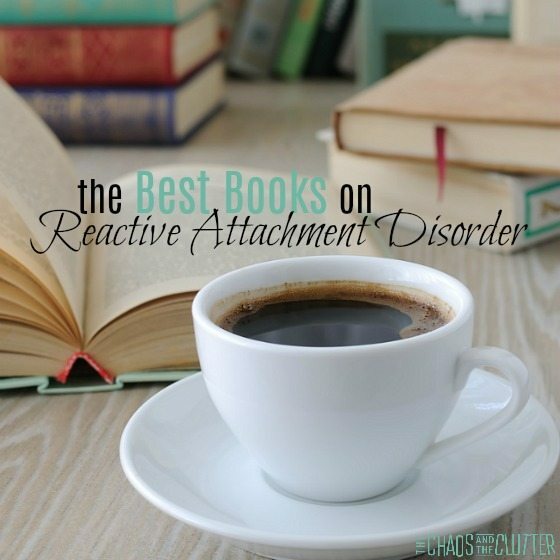 If you seek the help of a therapist who does not have experience with Reactive Attachment Disorder, they can be distracted by the child’s coping skills (which can come across as charming) and not recognize the signs of RAD. With each of our kids, I attended a one year long program specific to attachment and trauma. I feel so fortunate that our area has such a program. If you are fortunate to have one in your area, be sure that it is based on the current science of the impact of trauma on the developing brain and the science of attachment. Play therapy can be particularly beneficial for kids who were very young (babies or prenatally) at the time when their trauma or neglect occurred. Talk therapy is often not as productive for kids who were preverbal at the time of their abuse or neglect because they hadn’t developed language at that time in order to be able to discuss it later. The use of sand trays in particular can be useful in helping kids play out some of their past and better process it. Art therapy can help children process what happened to them. It is a non-threatening approach that works very well with some children. There is more and more research being done in the area of art therapy. It is becoming easier to access. Again, it is best if you can find a therapist who is attachment and trauma informed. One of our sons did animal assisted therapy for over a year. It was extremely therapeutic for him. Where the love of another human can feel so threatening to kids with RAD, allowing themselves to love and be loved by animals can sometimes help bridge that gap. It is also wonderful for them to build confidence in themselves by taking care of an animal. Therapeutic programs use a variety of animals including horses, dogs, chickens, llamas, donkeys, and even pigs. Important note: There are some kids with RAD who harm animals. If this is the case with your child, inform the therapists ahead of time. They may not feel that your child is a good fit for the program or they may be willing to have them attend but offer increased supervision. Neurofeedback is a type of biofeedback that uses real-time displays of brain activity to teach clients self-regulation. It is not something suitable for young children or those with severe cognitive delays. Most commonly, it uses EEG. Neurofeedback is still a fairly controversial approach. The scientific data at this time points to more of a placebo effect. Neurofeedback can be expensive as well. EMDR on the other hand has more and more scientific data backing up its effectiveness in treating PTSD. As many of “our” kids with attachment issues also have a trauma history, it stands to reason that EMDR can be an effective treatment for them at least where the root of their trauma is concerned. This article on adapting EMDR specifically for children with RAD has some excellent suggestions. EMDR stands for eye movement desensitization and reprocessing. It works best in adults or older children who were verbal at the time of their trauma, so it may not be as effective if the abuse or neglect happened during the very early months or years. We have found EMDR gives good results. We also use bilateral stimulation with the kids at home if they are having a hard time calming themselves down. In some cases, it is no longer safe to have a child in the home, either because they are a danger to a parent, a sibling or themselves. In these cases, a period of removing the child from the home for a period of time may be necessary. Obviously, residential treatment is more of a last resort option. It can further compound the belief the child has that they are not loveable or that anyone who is supposed to love them will eventually leave them, but others in the home deserve to feel safe and sometimes, there really is no alternative. 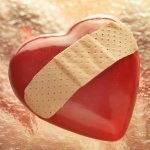 Sometimes residential treatment can compound the rejection and abandonment issues for a child while other times, it can actually lead to tremendous healing. Important note: Avoid any attachment therapies that involve forcibly holding or physical discipline. 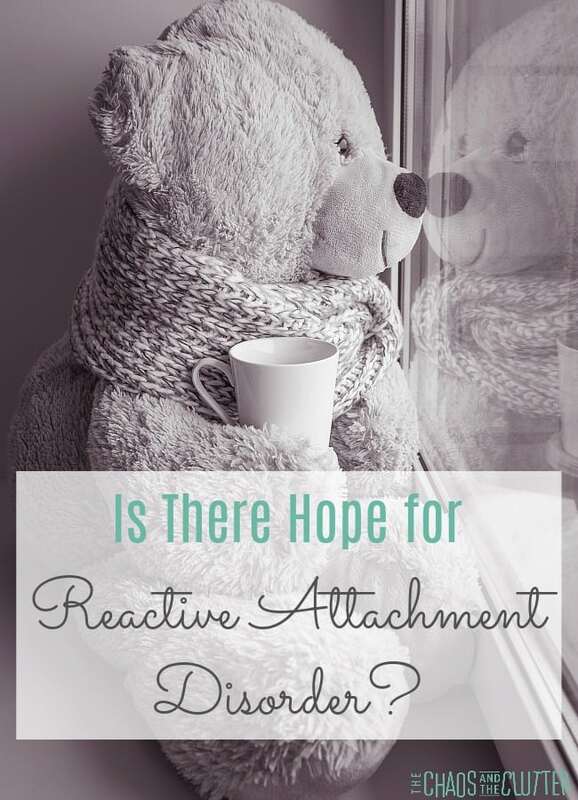 Is there Hope for Reactive Attachment Disorder? I remember sitting in one of my first adoption and foster care classes and having the instructor take out a packet of Post-It notes. She gave one to each of us and asked us to stick it to one surface and then another and then another. She encouraged us to stick it on surfaces such as a blanket or clothing where it would pick up lots of gunk or on the floor where it would pick up pieces of dirt as well as sticking it to smooth surfaces such as a table. Then she pointed out that as we moved our Post-It note from one place to another, it became less sticky, particularly after it was placed somewhere that it picked up a lot of stuff that stayed with it. She used the analogy of that Post-It note to explain how children have a harder time attaching the more placements they have been in or the more trauma they have experienced. Just like how the sticky part on the Post-It note didn’t adhere as well with more moves or more gunk, the child would also have a harder time attaching after multiple moves and having picked up some “yuck” along the way. While it’s not a perfect analogy for RAD, it’s one of the best ones I’ve ever come across. Attachment issues fall across a spectrum. 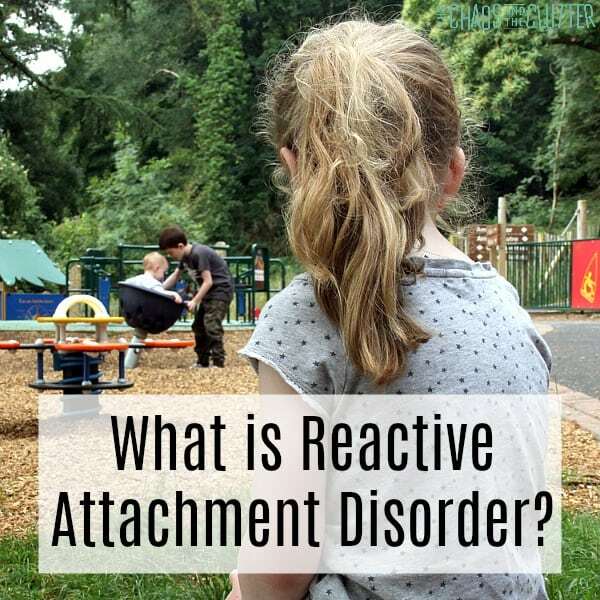 Reactive Attachment Disorder is the most extreme in that spectrum. 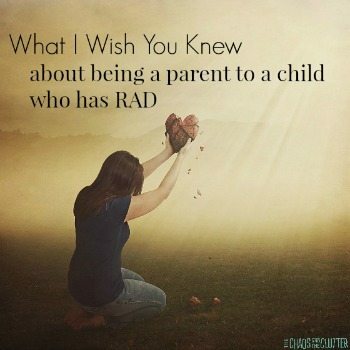 Children with RAD feel unsafe attaching to a primary caregiver or parent. These children were unable to form a healthy attachment due to neglect, early childhood trauma, insecure or disorganized attachment style in the parent, multiple placement such as foster care or multiple caregivers such as in an orphanage, or abuse. 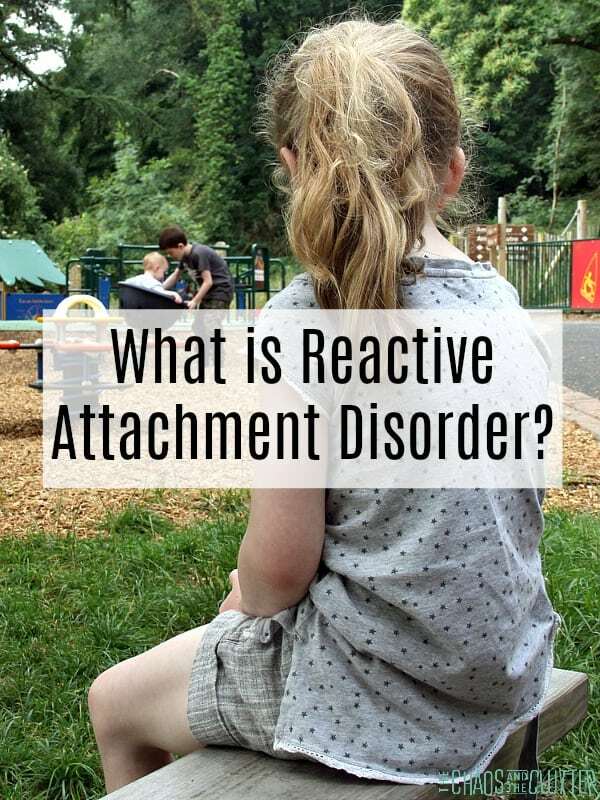 Reactive Attachment Disorders and other attachment disorders take place when a child has been unable to form a consistent connection with a parent or primary caregiver. If a young child feels that their basic survival needs are not met, they perceive that they cannot depend on others. The child feels threatened by attachment and that people who are supposed to love you are not to be trusted. 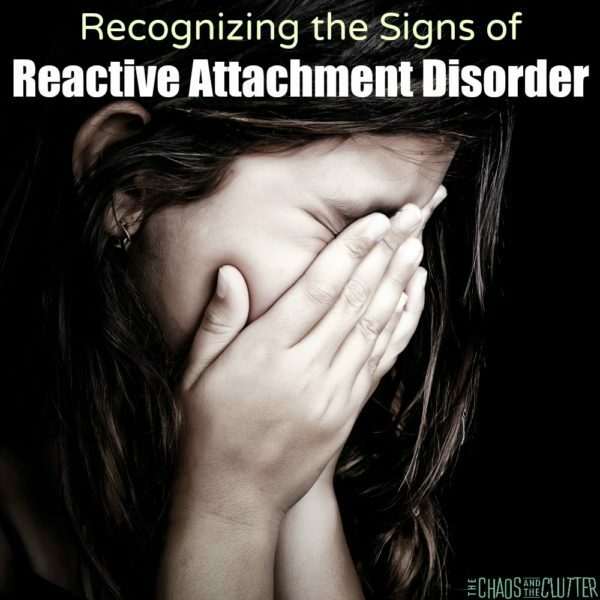 If you suspect that your child or a child you know may have Reactive Attachment Disorder, you can read how to recognize the signs of it here. Of course, that is just a stepping off point. You will need to consult with a professional in order to get an official diagnosis. 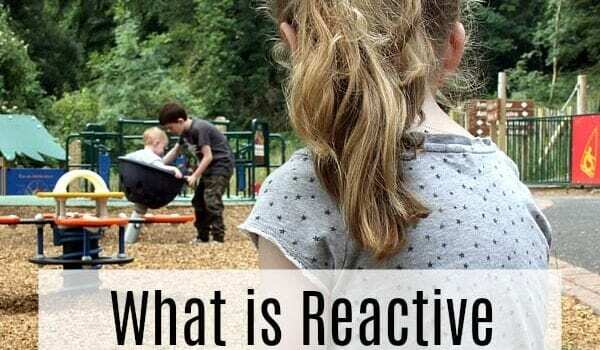 Regardless of what the cause of Reactive Attachment Disorder is, it requires treatment and the development of trust within a nurturing relationship in order to heal.